I have to tell you folks…the Captain and I really enjoyed this movie. We saw it last week-end, but if you are looking for something to do this week-end, I highly recommend this movie. Seriously my dear readers, this movie is not your typical Sci-fy movie with improbable Gilligan Island type-miraculous- mechanics and tools washing up on shore. 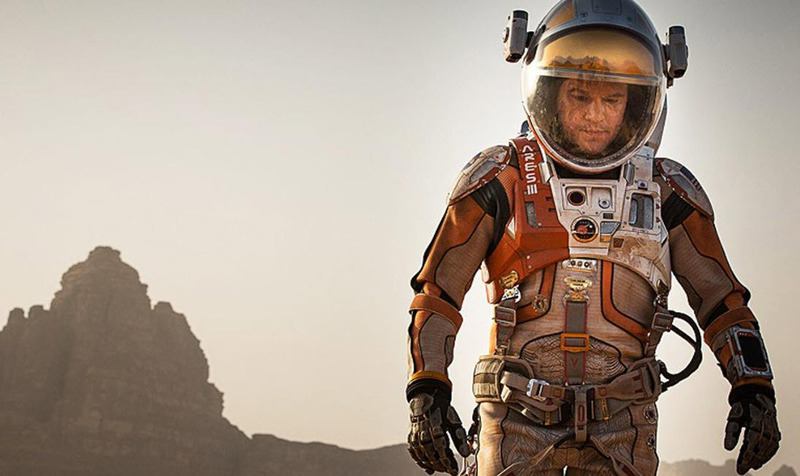 Mark Watney, played brilliantly by Matt Damon… is literally left/lost in space and left to his own wits and MacGyver-like solutions to help him survive on Mars…the red planet. 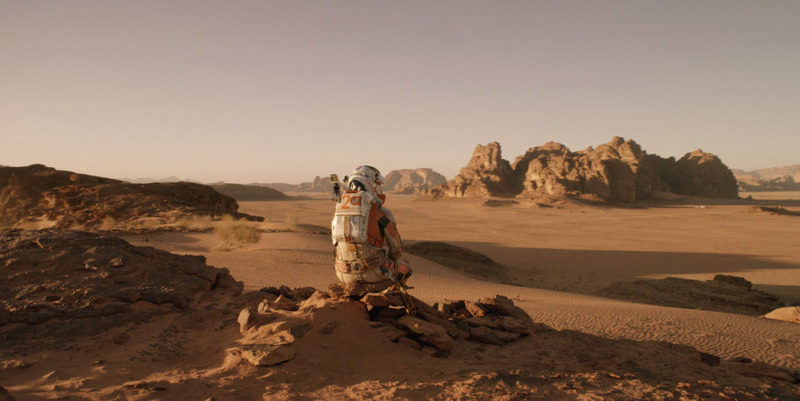 The story line on this manned mission to Mars, is an astro-botanist Watney and his team are caught in a fierce space sand storm and Watney gets left behind by his crew. (they think he is dead) …. 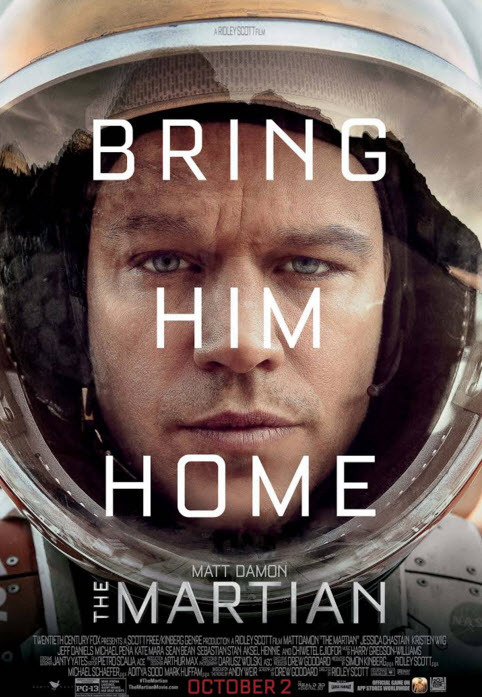 Watney must survive with his wits while a team at NASA and beyond figure out how to get him home, once they realize he is alive. One of the most interesting facts is all this does not take place over a period of days….rather two years in space time. 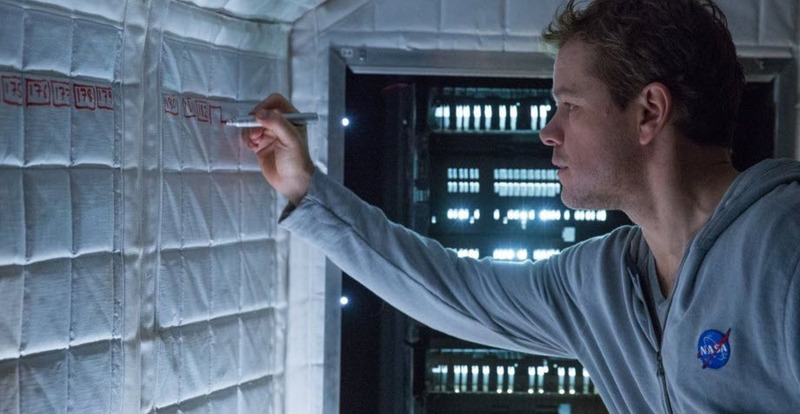 Though Watney has already proven his resourcefulness by doctoring his own puncture wound, he talks out loud to no-one in particular, by giving us, the audience, his inner thoughts. He assumes he is recording these thoughts for those who come and find his remains many years later….but they serve the dual purpose of giving him a chance to explain complicated science ideas, all the while endearing us to Matt Damon’s naturally charismatic personality. I love how he voices his thanks to one of his crew for their collection of disco hits left behind in their haste to leave the planet, but after listening to the same music over and over and watching “Happy Days” episodes he criticizes their choice of music and tries to use humor to keep sane. Another part I identified with…was the use of speed tape or a duct tape of some sort. Never give up on the excitement of human ingenuity! 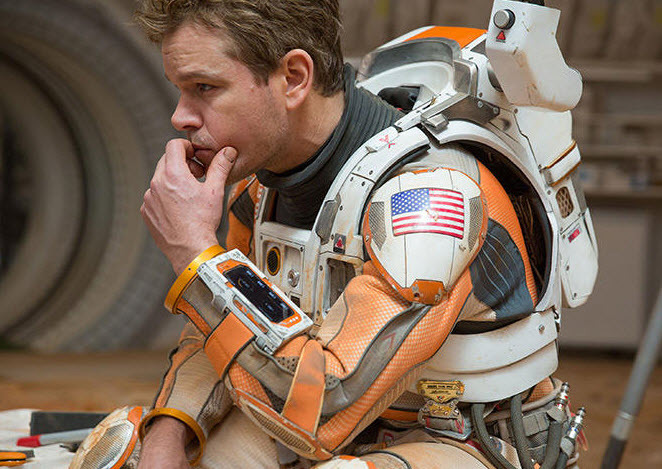 At one point Watney makes the realization that in order to survive he is going to have to “science the heck” out of his situation/survival. He does this by burning hydrazine rocket fuel to create water and using recycled waste to grow potatoes. These science projects are not science fiction, but based on real science,… even though it can be difficult watching a smart person work through what appears to be unsolvable problem(s) because sometimes through his success, he creates even bigger obstacles. 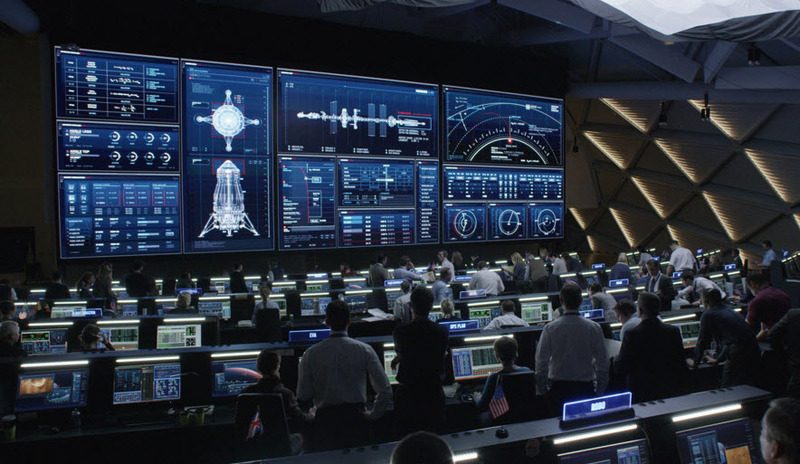 I say all that to say this….I believe everything in this movie is pretty accurate…but there is a part where Watney searches his mental history for a previous Mars mission way before he was born. 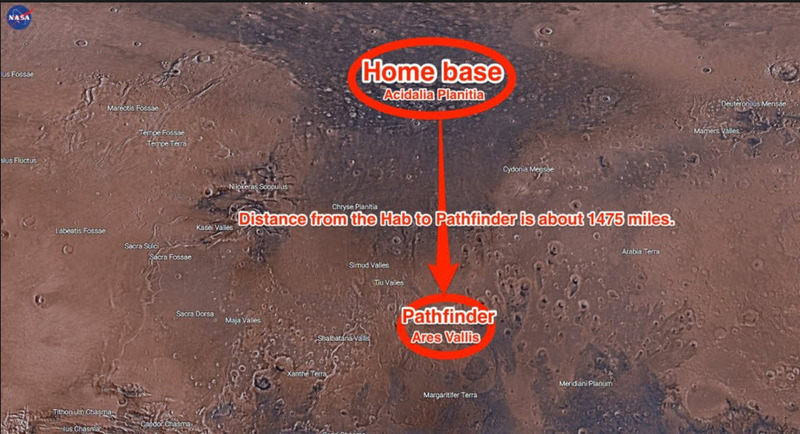 He recalls something that was left on Mars (Pathfinder) and decides to search for it. I have no problem with any of this scenario, as it is historically accurate and plausable. However, I had to lean over to the Captain during this part of the movie and whisper to him….“how does he get that to work and I have problems with my satelliate TV reception when is rains ?” Just sayin’!!!!! Have any of you my dear readers seen this movie? If so, what are your thoughts? 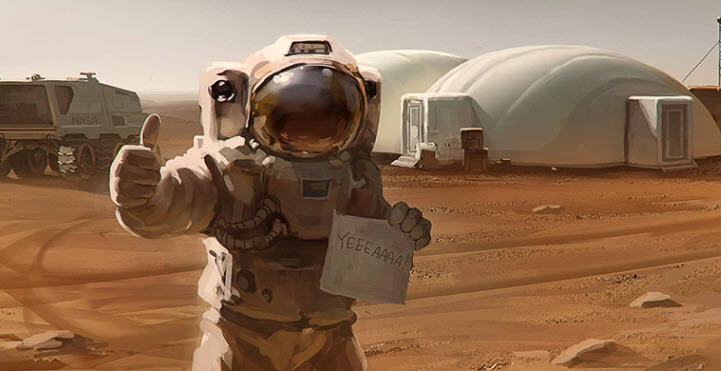 « Houston….You Had a Problem! It sounds like an interesting movie, Kari. Anything man can think of is possible.